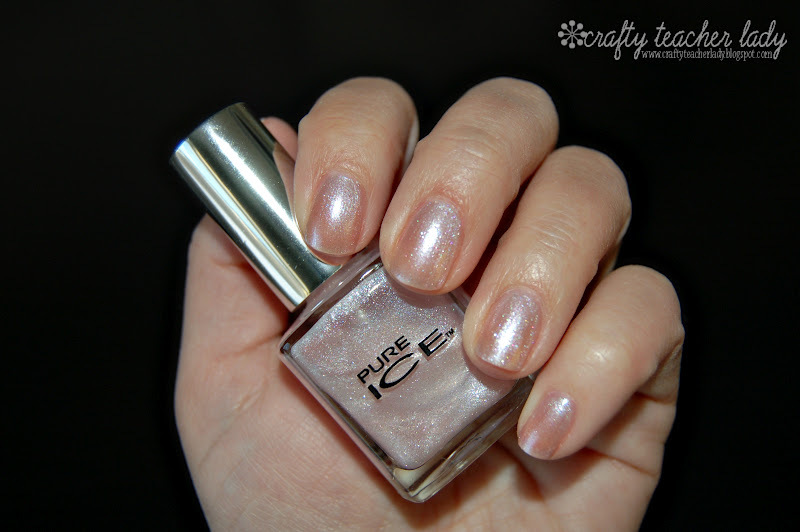 This week's nail color is Dirty Girl by Pure Ice. I'm not entirely thrilled about that name but I do like the color...a soft, shimmery pink! It's an affordable drug store brand, too!